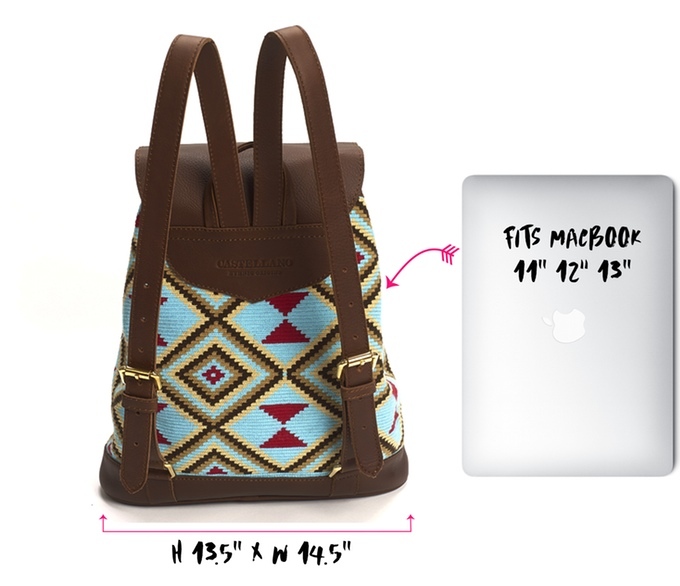 fantail flo: Castellano Ethical Bags - Fashion CAN be Ethical! Castellano Ethical Bags - Fashion CAN be Ethical! Can fashion really be ethical? The answer is- YES it definitely can. I've recently been into ethical fashion because it is a way to shop without being too exploitative on the poorer community. In fact, with globalisation, there are so many sad stories of poor factory workers being underpaid, overworked and exploited. It makes me sad, because as a student, we ought to have responsibilities to give back to those in need. My newest favourite ethical shop is called Castellano Ethical Origins. They are a new shop which sells beautiful, handmade woven bags that are in the coolest colors. They have multicoloured ethical tote bags and back packs, as well as cross-strap bags which are oh-so-lovely. A bit about their mission- as a social enterprise, Castellano focuses on helping the Wayuu people in Columbia. 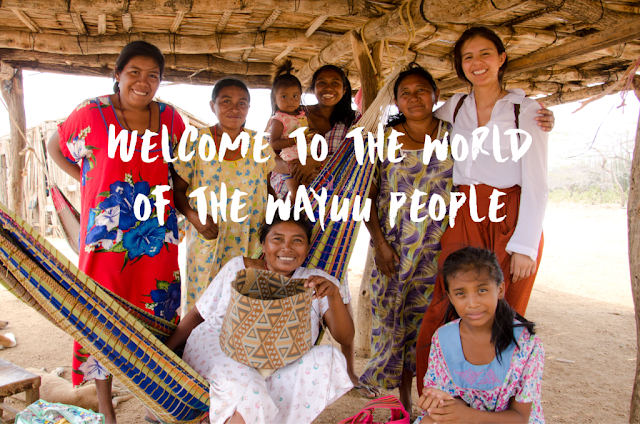 The Wayuu are one of the largest and strongest local tribes in Columbia, and they represent 58% of the American-Indian population in the country. They are known for producing strong textiles, fabrics and colorful prints. They're also rich in culture and heritage, and are very much a self-sufficient community. 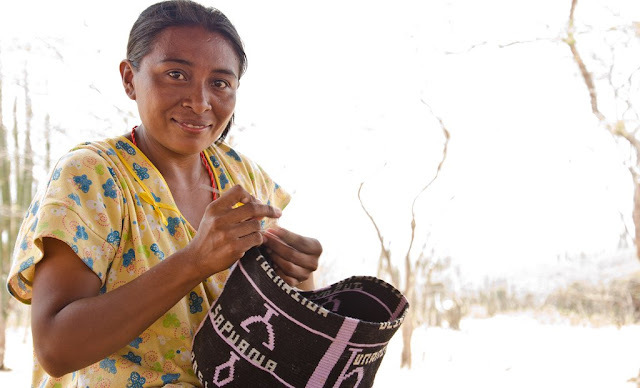 Castellano empowers Indigenous women by enabling them to be self-sufficient and create a business for themselves, through selling products in their shop. The shop donates a portion of all their proceeds to social programmes that seek to empower women and their local communities in Colombia. This is a meaningful cause, and I love how their products are all super stylish and chic at the same time. They use the best handcrafted materials to make each bag, which is unique and fashionable at the same time. They even sell bracelets, bags, and their range of products is huge. I absolutely loved browsing their shop, because the products are high-quality and seem super chic at the same time. 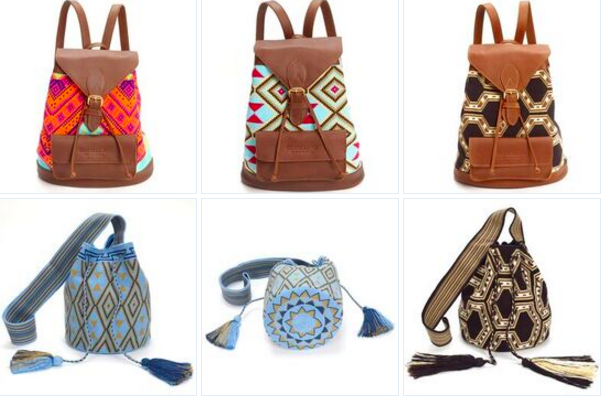 The bags are all beautifully designed and gorgeous, because they combine leather and ethnical prints, and looks very Topshop-like. Take a look at some of their products below! I'm very attracted by their products because of their beautiful designs and aesthetics. Also, their site is super helpful and informative, and taught me a lot about ethical fashion and the needs of local communities. 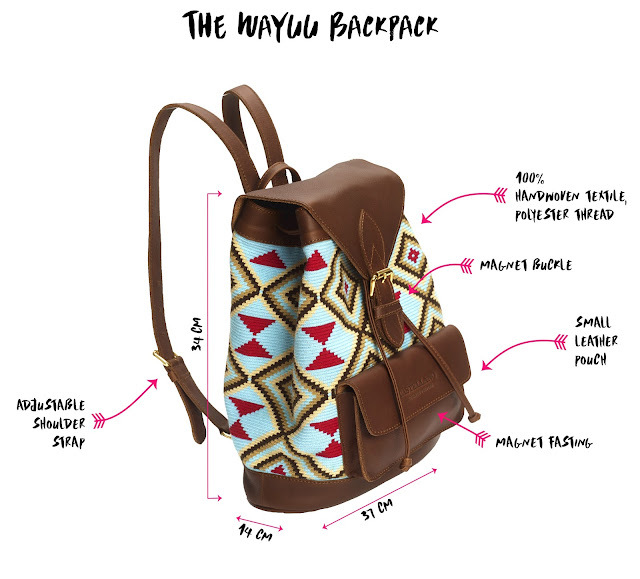 My favourite product is their Wayuu Backpack, which comes in many different colours as seen above. Honestly, what could be better than knowing that you helped local indigenous women in a poor community when you shop? Please support their Kickstarter campaign HERE - it's very interesting!